The Building Complex Gate Ermou 117-121 had been closed for several years. 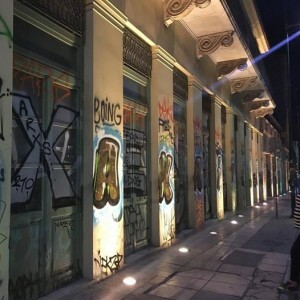 This year, ADAF gave life to this neoclassical building at the center of the city, in the framework of the Festival’s principle and general aim to revivify vital areas of Athens. 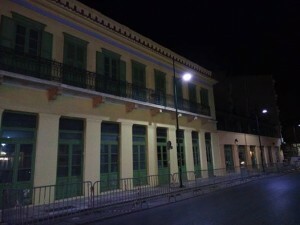 In a very short period of time, ADAF transformed the place into the center of digital arts and culture of Athens! This initiative was supported by synathina and the companies Karcher Greece, Vivechrom and Booka (ecological Antigraffiti products) which offered specialized equipment and experienced staff contributing to the improvement of the image of Athens.